Rhode Island Iaido Club is a Public Club for those interested in Japanese Martial Arts including Kempo, Iaido and Kenjustu. We are a modern budo club and train in a safe modern contemporary atmosphere. Japanese Budo arts. Eishin Ryu sword arts and Kosho Ryu Kempo self defense. We are a traditional, modern Budo club. New members with no Martial arts experience are always welcome. Would you like more information on hours, classes and programs available at Rhode Island budo Academy? Please contact the school with your questions. Update the details or Report Error of Rhode Island budo Academy. View all Dojo in Seekonk or in Zip code 02771. This Chart shows the Martial Arts Styles offered most in Seekonk, Massachusetts area. 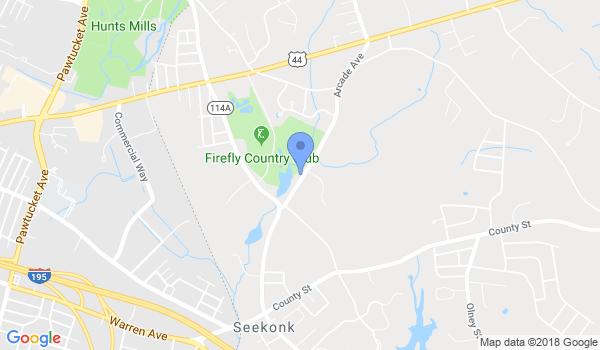 View a list of Dojo in Seekonk, or enter your address below to find schools closest to you.